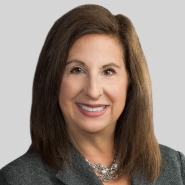 Attorney Joyce Edelman has secured a successful conclusion for the American Red Cross in a personal injury suit. Edelman served as lead counsel to the Red Cross in both the trial and appellate court proceedings that began six years ago. After victories at trial and in the Sixth Circuit Court of Appeals, the American Red Cross achieved closure when the U.S. Supreme Court denied the plaintiff’s petition for writ of certiorari. The plaintiff, a blood donor who alleged that the Red Cross was negligent in performing a blood draw, sought U.S. Supreme Court review of the Sixth Circuit’s decision in Ross v. American Red Cross, Case No. 12-4312, which had affirmed the District Court’s rulings and upheld the jury’s verdict in favor of the Red Cross.